Ponding is the phenomenon of water that remains standing on a flat roof for more than 48 hours since the last rainfall. The severity of ponding water should never be underestimated, as it will ultimately result in structural deformations, water leaks, and other problems. Despite the widespread occurrence of flat roof ponding, many people still fail to understand the factors that lead to it becoming a problem. 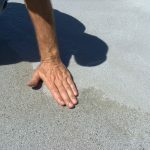 If you have noticed ponding on your flat roofed home or commercial property, or if you would simply like to educate yourself about this problem, read on. 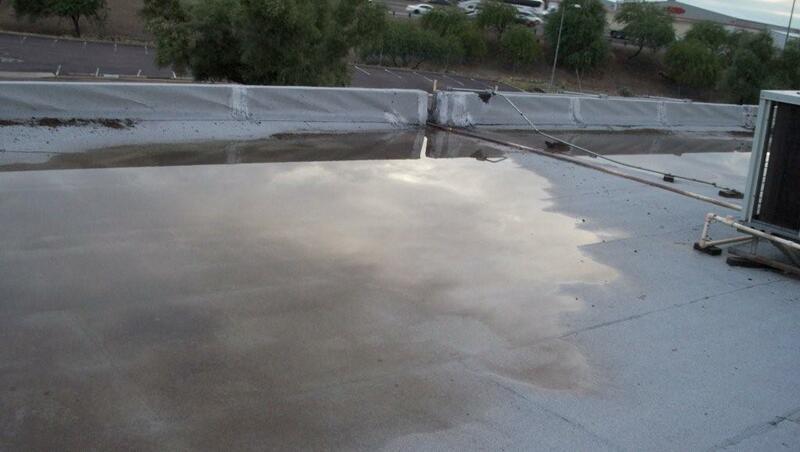 Here you will learn about four of the most frequent causes of flat roof ponding. There are two main methods by which a flat roof can be protected against the elements: built up roofing, and roofing membranes. Here we are concerned strictly with the first variety. As its name would imply, built up roofing consists of multiple layers of roofing. Each layer consists of felted roofing paper and hot asphalt. After such a roof has been built up to a depth of four or five layers, it is covered by a layer of gravel. This helps to protect the asphalt compounds from degradation caused by the sun’s rays. Over time this protective layer of gravel tends to thin out, with some being washed away down the drains, and some shifting its position, thus leaving portions of the roof under protected. The exposed areas of asphalt soon begin to degrade as a result of the sun’s ultraviolet rays. In essence, the asphalt is eaten away, leaving some areas of the roof significantly lower than others. These deformations in the asphalt surface permit water to more easily accumulate; as the problem intensifies, ponding becomes more and more of an issue. A flat roof must be constructed according to a rigorous set of engineering standards. 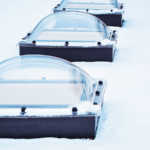 Yet even the most well-made flat roofs may be under-equipped to deal with excessive amounts of precipitation. Even a perfectly sloped, well drained flat roof can find itself structurally over matched by intense rainfall. The problem here is that the incredible weight of all that water can lead to what is known as deflection in the roof’s underlying support beams. Deflection refers to what happens when the strength of a roof beam is overtaxed by excessive weight. In essence, it bows downward, thus forming a gentle declivity. Such declivities are most common in the middle of the roof–that is, near the center point of the underlying framing members. As you can imagine, a declivity provides the perfect place for water to accumulate. 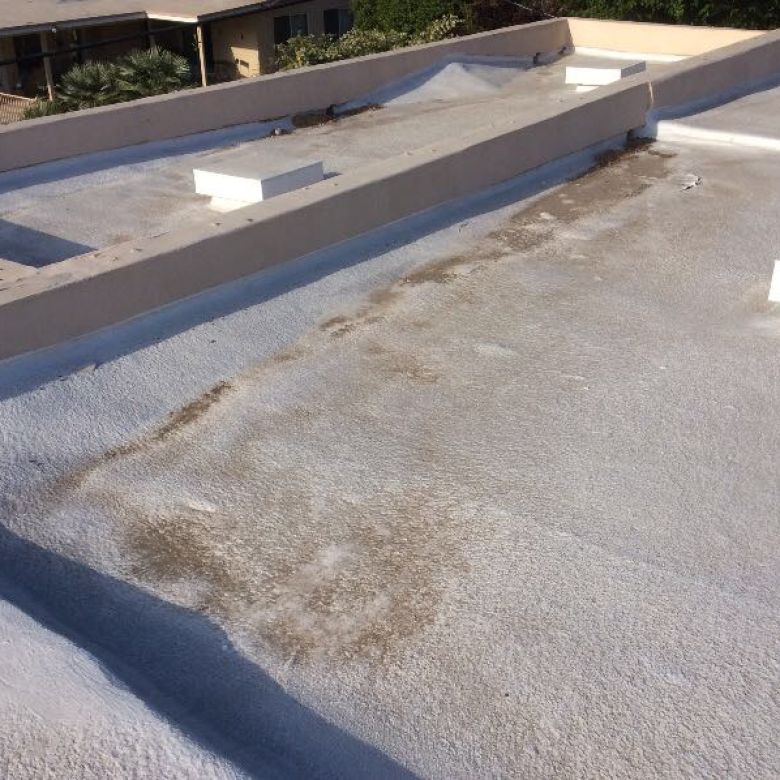 In some cases, once the water has evaporated or slowly drained away, the roof may go back to its original shape. Yet should such deflection occur too frequently, it may lead to a permanent deformation of the roof’s surface. This will permit ponding to occur even in times of relatively light precipitation. It is important to realize that deflection is not just caused by rainfall alone. It is a natural consequence of the way that weight is distributed across the surface of the roof. In other words, deflection may just as easily be caused by the weight of rooftop units such as air handlers, compressors, and other HVAC related equipment. Even if the roof is technically capable of bearing such weights, improper placement can cause unanticipated deck deflection–especially when coupled with the weight of heavy rainfall. Fortunately, it is not necessary to move or eliminate such rooftop units where ponding has become an issue. So long as the problem is identified before it becomes too grave, structural deflections around these features can be adequately eliminated through the use of roofing crickets and/or self-leveling roofing compound. 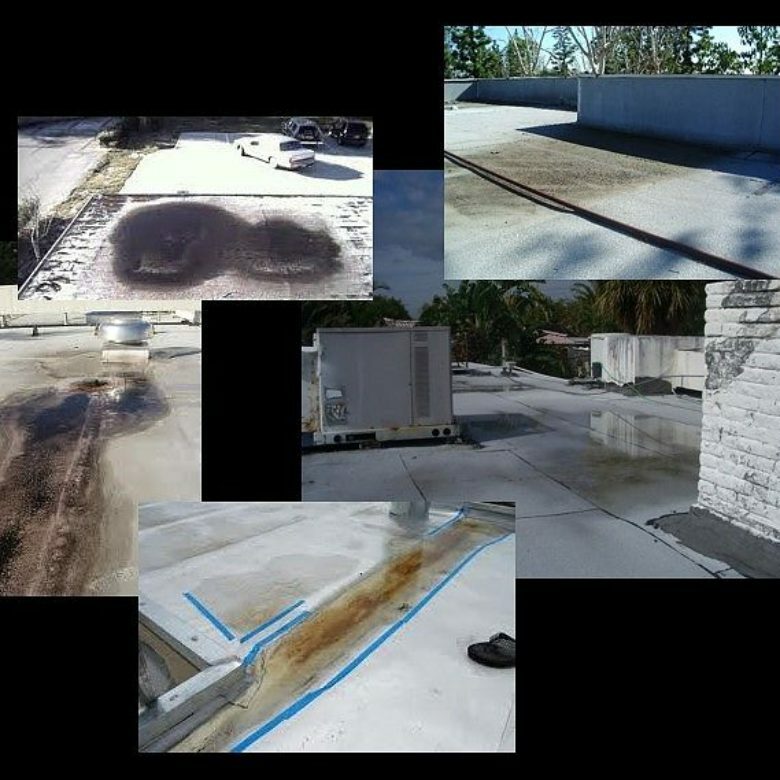 If you believe that your flat roof may be struggling from excessive ponding, please don’t hesitate to contact the experts at RoofSlope for a additional information on how to eliminate ponding water.